Costa Mesa is located in Orange County, California. 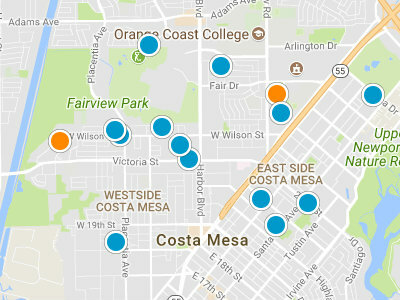 This diverse city is made-up of five distinct sections; Central Costa Mesa, Eastside Costa Mesa, Mesa Verde, South Coast Metro and Southwest Costa Mesa. There are both unfurnished and furnished options available. Short term and long term leases are available throughout all sections of the city.